The Tiangong-1 space station, the first Chinese orbital laboratory launched in September 2011, will crash into Earth between end of March and beginning of April 2018, according to the forecasts of The Aerospace Corporation, a non-profit foundation in California. Spain, together with southern Europe, is in one of the zones where the aircraft is more likely to be precipitated. However, experts note that the risk of harm to people is minimal because "there is only a probability that it hits the Earth a small amount of waste." The friction with air from the atmosphere will disintegrate most of the station, which weighs 8.5 tons. However, fragments of up to one hundred kilos could survive, which would impact a strip located between the latitudes of 43 ° north and 43 ° south. The region includes all of Africa and Oceania, a good part of America, Southeast Asia (including virtually all of China) and southern Europe. 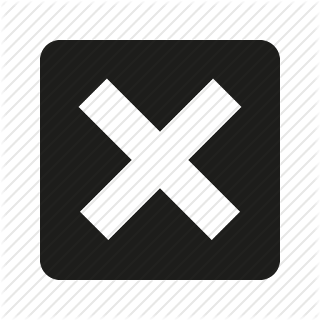 Near the limits of this strip is where the probability of impact is greater. The center and the north of Spain are in this area. Predicting the time and place of the fall of Tiangong-1 is very difficult. Complete an orbit around the Earth every hour and a half and small changes in orientation or in the density of the atmosphere can greatly change its trajectory of descent. Jonathan McDowell, an astrophysicist at Harvard University, said in an interview with The Guardian that the ship had been accelerating in recent months and that, now, falls approximately six kilometers per week, compared to 1.5 kilometers in October. 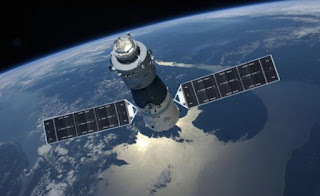 Tiangong-1 was designed to be a manned laboratory, although it is not inhabited (the last manned mission departed from Tiangong-1 in June 2013), as well as an experiment for a future larger station. It is composed of two modules and measures 10.5 meters long. On March 21, 2016, China announced that it had stopped receiving telemetry data from the platform, but it was not until September 14 when it officially acknowledged that the station would re-enter the atmosphere, they predicted, in the second half of 2017. Amateur satellite trackers said then that the object was already orbiting without control for months and everything points to the re-entry will also be out of control. However, in mid-2016, satellite tracking enthusiasts warned that Tiangong-1 had begun to bump unchecked. But it was not until months later that China admitted to having lost contact with Tiangong-1 and could not make a controlled entry. The aircraft orbited between 330 and 390 kilometers above Earth. At that altitude, the continuous collision with the particles of the upper layers of the atmosphere slowed it down and caused it to descend, so that those responsible had to adjust its height periodically to keep it in orbit. According to The Aerospace Corporation, the last adjustment made by Tiangong-1 occurred in December 2015. By November 2016, it had already fallen below 300 meters. It is not the first time that an orbital station falls without control on the Earth. In 1979 NASA's Skylab station of 77 tons crashed in Australia. And in 1991 the complex formed by the Soviet station Salyut-7 and the Cosmos module 1686, which totaled 40 tons, fell on the Pacific. Comparing it to the 8.5 tons of Tiangong-1, this last one is a miniature. Experts note that throughout the history of space exploration only one person has been hit by space debris and, fortunately, was not injured.